ENTEBBE – The ruling party NRM Secretary General Ms. Justine Kasule Lumumba together with other top leaders have Wednesday, April 3 seen off their visiting CPC Delegation following a three-day visit. 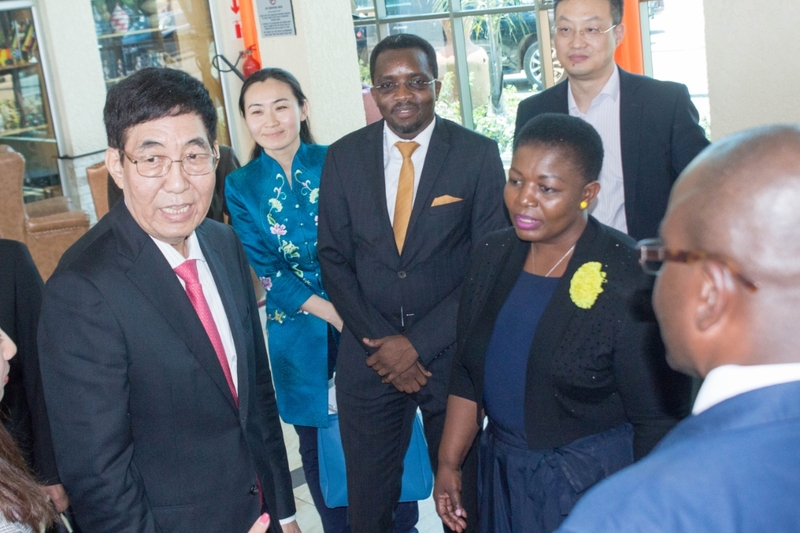 Ms. Lumumba confirmed that the Chinese delegation had offered the NRM Party an invitation to their largest North-East Asia Trade Expo scheduled for August 2019 in Jilin Province. “Its a fully paid for the invitation and the search for the Ugandan exhibitors will soon start,” she said after the meeting. The party head of communication Mr. Roger Mulindwa said the selected Ugandans will have an opportunity to exhibit their products and negotiate markets during this anticipated classic event. “The emphasis will mainly be in the area of agricultural products,” Mr. Mulindwa wrote. On arrival to Entebbe International Airport, the delegation was given a farewell luncheon at Hotel Protea in Entebbe Municipality before they continued to the Airport in the company of the deputy SG Mr. Richard Todwong and the deputy national treasurer Dr. Kenneth Omona. Before returning home, the delegation was flown to Gulu, where they met the NRM party chairman also President, Mr. Yoweri Kaguta Museveni. “It has been a pleasure visiting the pearl of Africa. We have had very important meetings with Secretary General Lumumba”, said the CPU Leader of Delegation Hon. Buyin Chaolu. 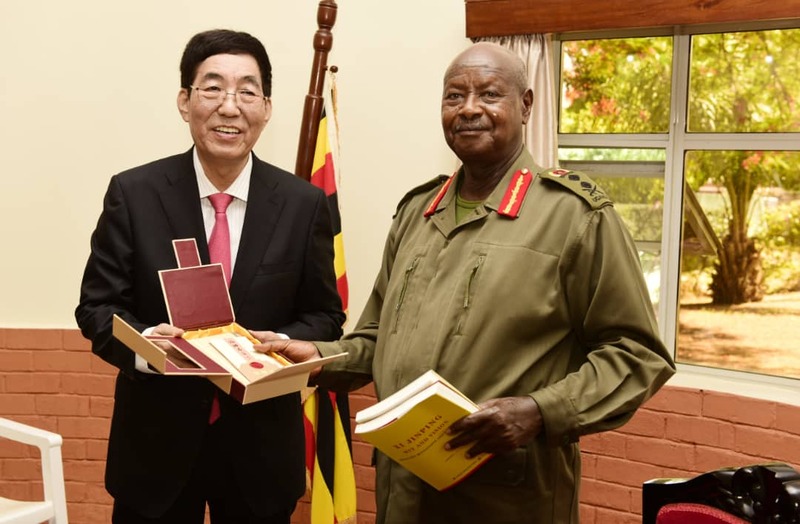 He said their visit will benefit both parties adding that Jilin Province is set to receive the NRM Secretary General any time.